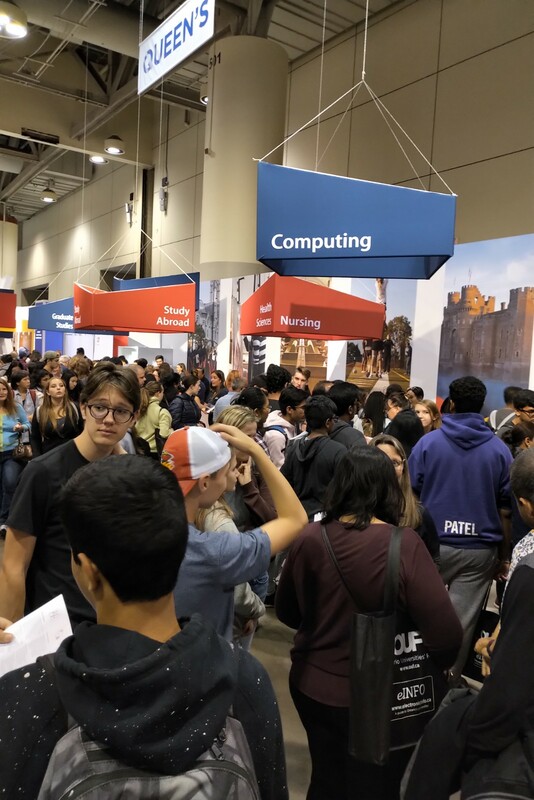 The Ontario University Fair was a complete success. 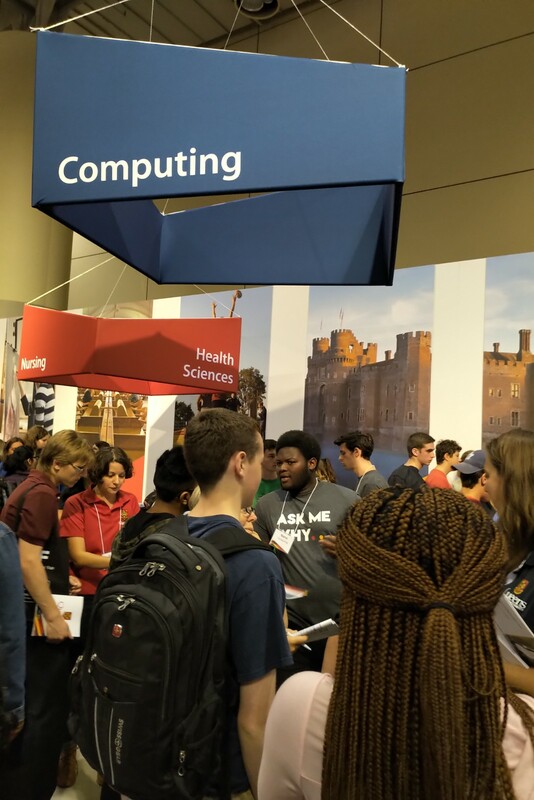 The Computing booth was again one of the busier booths throughout the three-day event. 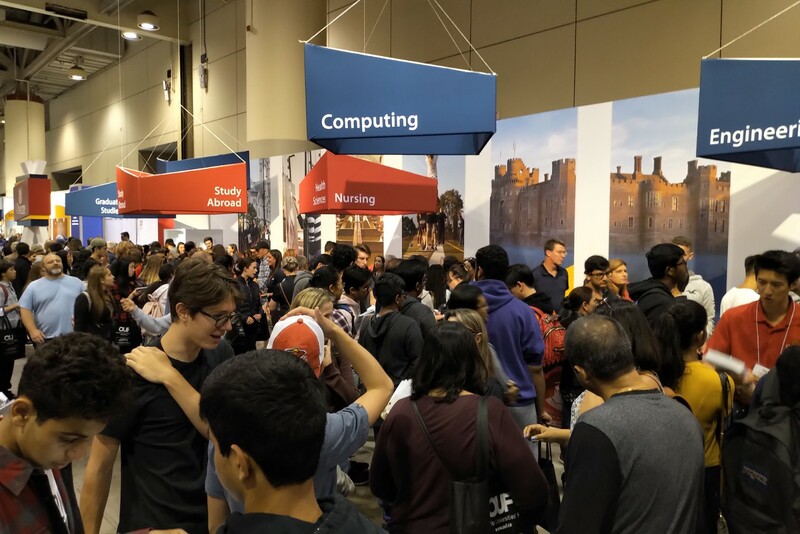 As with the last several years, the level of interest in Computing was phenomenal and prospective students were keen to hear about our plans for the next academic year. 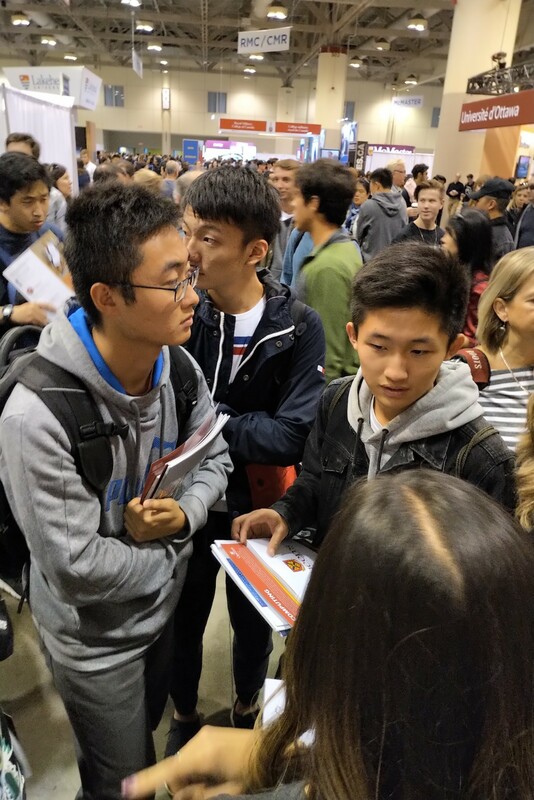 Feedback from both our current students and future Queen’s students was quite favorable. 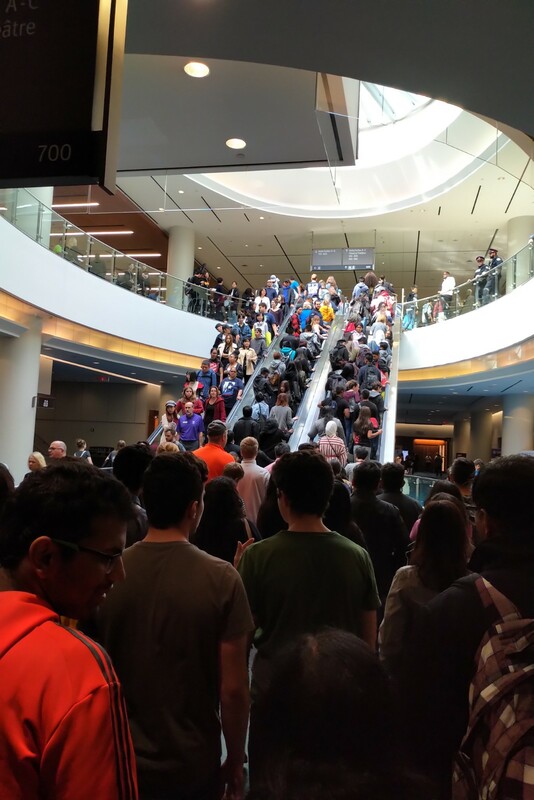 There was again great interest in Data Analytics and Artificial Intelligence. 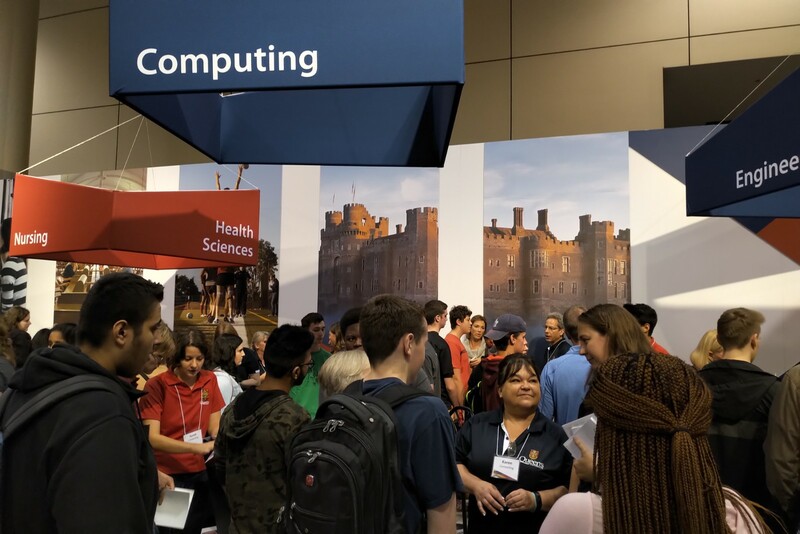 Many students were also interested in Queen’s many available certificates, especially the Data Analytics and Business Certificates, and were excited to learn that it will be easier to do a Major in Computing and a Minor in another discipline. A special thanks to Doug Martin who prepared beautiful new degree maps. This entry was posted in News and tagged Ben Hall, Karen Knight. Bookmark the permalink.